Blog » Yeehaw! Rodeo Night! 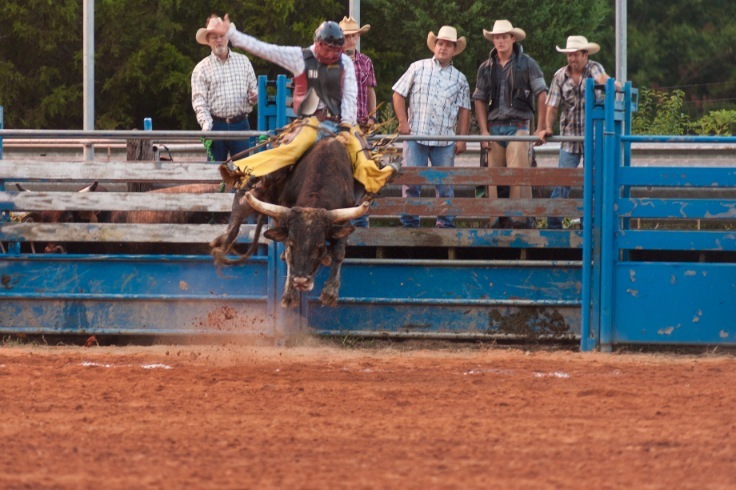 Excitement and anticipation mixed with a dash of nerves is available on Friday and Saturday night at the Yadkin Valley Youth Rodeo located at the SX3 Arena at 586 Andrew Sink Rd in Lexington, NC. The schedule is available here. 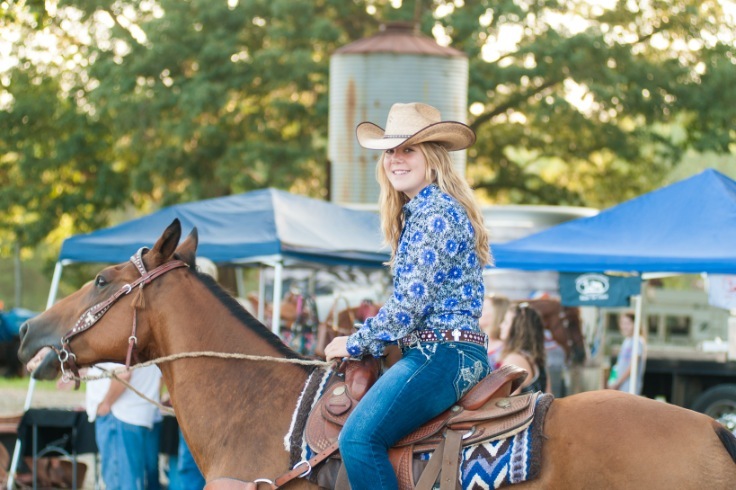 The YVYRA (Yadkin Valley Youth Rodeo Association), caters to youth ages 3 thorough 18 years. 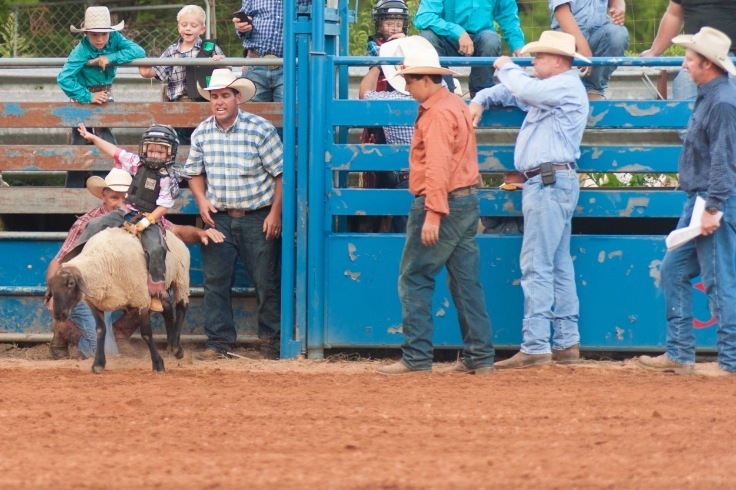 Mutton Bustin' takes courage, skill and stamina. 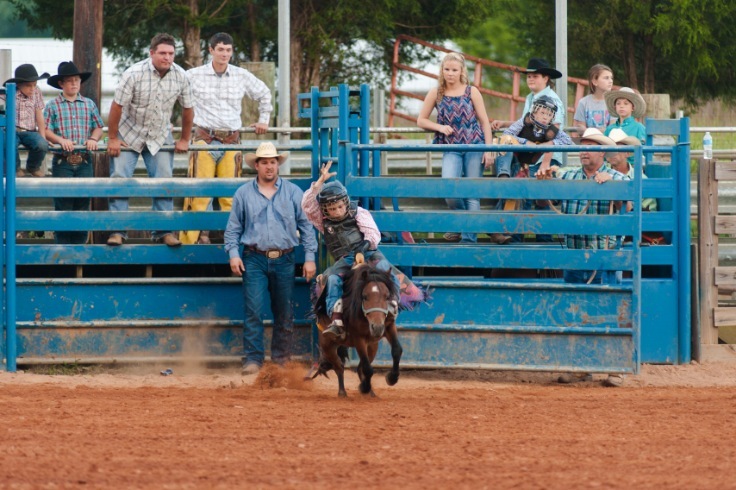 The Mini Bucking Ponies are only seen east of the Mississippi at SX3 in Lexington, NC. 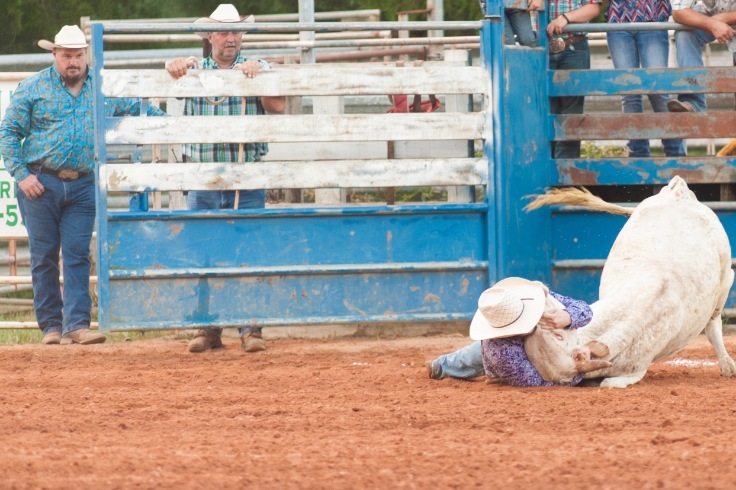 Bull Dogging, or Steer Wrestling takes the strength, agility, and know how of older competitors. 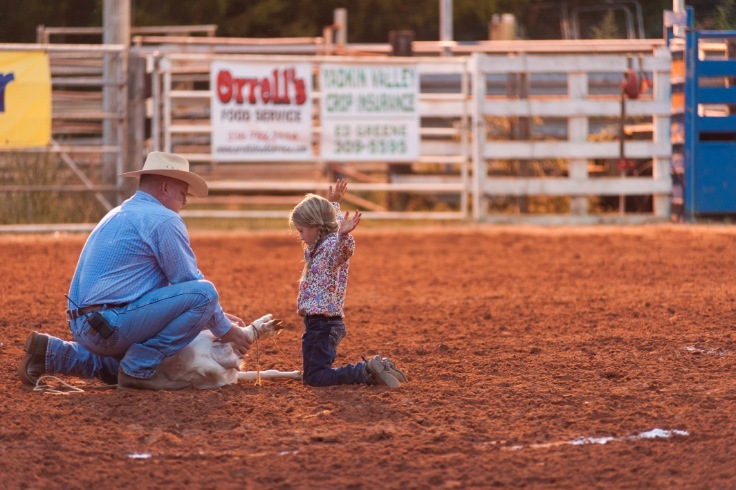 Steer riding requires the cowboy or cowgirl to stay on the steer for at least 6 seconds. Older competitors are challenged with bigger and tougher steers and a sticking time of at least 8 seconds. Goat tying has different levels of difficulty for different ages. The younger competitors tie the legs of a goat held in place by an adult. 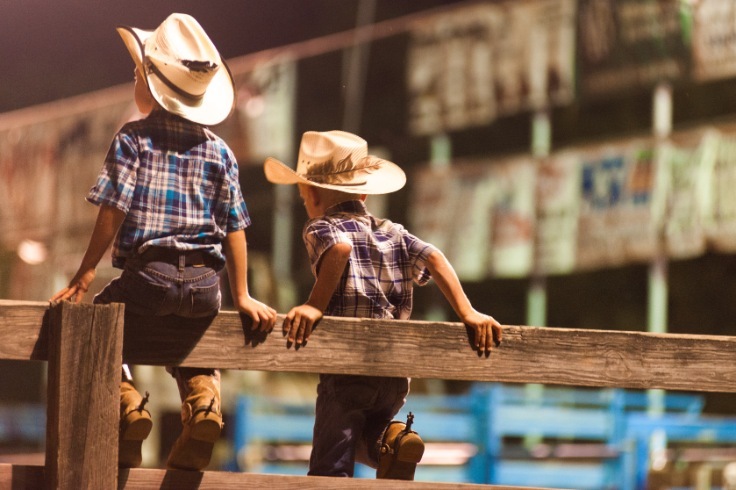 Cowboys enjoying the rodeo from a prime vantage point. 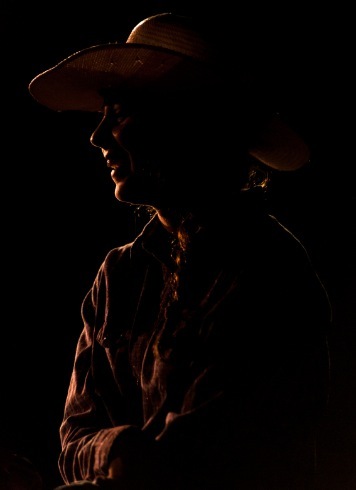 Rodeo in her heart, an addiction in her blood, at the end of the night, cowgirl Mikayla Sink is satisfied with her final run! 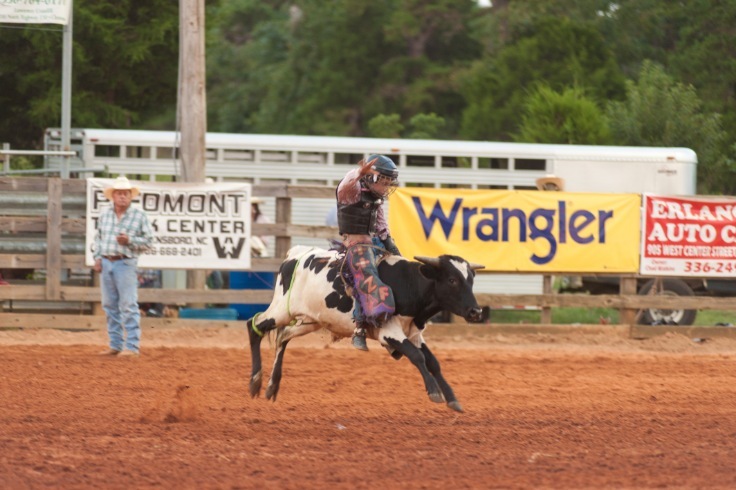 Michell C. Alessandrini - Love your photos, Rodeo photos area always fun. The young goat tier is Waylan. Great shot.